In a new proof-of-concept study, researchers from three South Korean universities and the University of Utah report that women with major depressive disorder (MDD) who augmented their daily antidepressant with 5 grams of creatine responded twice as fast and experienced remission of the illness at twice the rate of women who took the antidepressant alone. The study, published Aug. 3, 2012, in the American Journal of Psychiatry online, means that taking creatine under a doctor’s supervision could provide a relatively inexpensive way for women who haven’t responded well to SSRI (selective serotonin reuptake inhibitor) antidepressants to improve their treatment outcomes. “If we can get people to feel better more quickly, they’re more likely to stay with treatment and, ultimately, have better outcomes,” says Perry F. Renshaw, M.D., Ph.D., M.B.A, USTAR professor of psychiatry at the U of U medical school and senior author on the study. If these initial study results are borne out by further, larger trials, the benefits of taking creatine could directly affect many Utahns. The depression incidence in Utah is estimated to be 25 percent higher than the rest of the nation, meaning the state has an even larger proportion of people with the disease. This also brings a huge economic cost to both the state and individuals. According to numbers recently compiled at the U of U, the state of Utah paid an estimated $214 million in depression-related Medicaid and disability insurance in 2008. Add the costs of inpatient and outpatient treatment, medication, and lost productivity in the workplace, and the total price of depression in Utah reached $1.3 billion in 2008, according to the U estimate. With those large numbers, any treatment that improves outcomes not only could ease the life of thousands of Utah women but also would save millions of dollars. 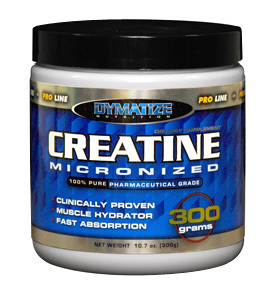 Creatine is an amino acid made in the human liver, kidneys, and pancreas. It also is found in meat and fish. Inside the body it is converted into phosphocreatine and stored in muscle. During high-intensity exercise, phosphocreatine is converted into ATP, an important energy source for cells. For this reason, creatine has become a popular supplement among bodybuilders and athletes who are trying to add muscle mass or improve athletic ability. How creatine works against depression is not precisely known, but Renshaw and his colleagues suggest that the pro-energetic effect of creatine supplementation, including the making of more phosphocreatine, may contribute to the earlier and greater response to antidepressants. The eight-week study included 52 South Korean women, ages 19-65, with major depressive disorder. All the women took the antidepressant Lexapro (escitalopram) during the trial. Twenty-five of the women received creatine with the Lexapro and 27 were given a placebo. Neither the study participants nor the researchers knew who received creatine or placebo. Eight women in the creatine group and five in the placebo group did not finish the trial, leaving a total of 39 participants. Participants were interviewed at the start of the trial to establish baselines for their depression, and then were checked at two, four, and eight weeks to see how they’d responded to Lexapro plus creatine or Lexapro and a placebo. The researchers used three measures to check the severity of depression, with the primary outcomes being measured by the Hamilton Depression Rating Scale (HDRS), a widely accepted test. The group that received creatine showed significantly higher improvement rates on the HDRS at two and four weeks (32 percent and 68 percent) compared to the placebo group (3.7 percent and 29 percent). At the end of eight weeks, half of those in the creatine group showed no signs of depression compared with one-quarter in the placebo group. There were no significant adverse side effects associated with creatine. Antidepressants typically don’t start to work until four to six weeks. But research shows that the sooner an antidepressant begins to work, the better the treatment outcome, and that’s why Renshaw and his colleagues are excited about the results of this first study. “Getting people to feel better faster is the Holy Grail of treating depression,” he says. Study co-author Tae-Suk Kim, M.D., Ph.D., associate professor of psychiatry at the Catholic University of Korea College of Medicine and visiting associate professor of psychiatry at the U of U, already is recommending creatine for some of his female depression patients. In prior studies, creatine had been shown to be effective only in female rats. But that shouldn’t rule out testing the supplement in men as well, according to Renshaw. Next post: Yoga may offer effective treatment for depressed new mothers to be.